An early winter scene from November 2017. 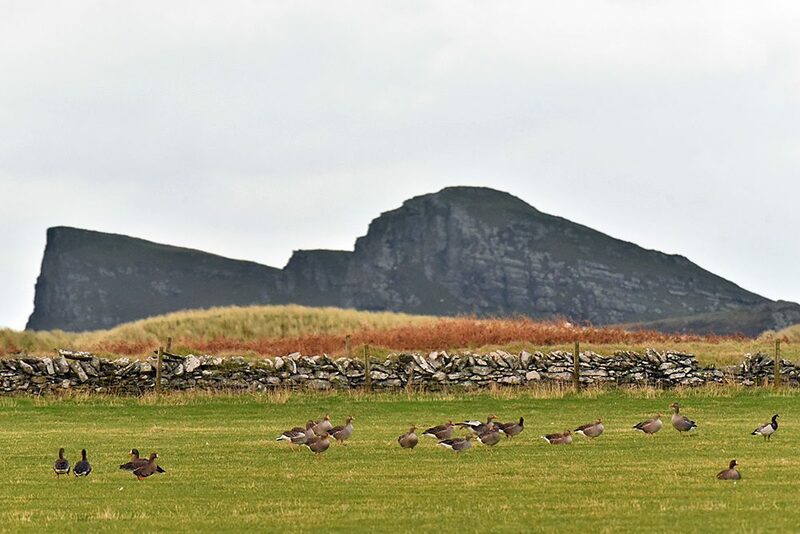 Barnacle Geese are flying up near Loch Gorm (the view is from near Ballinaby) with the snow capped hills in the south east of Islay in the distance. 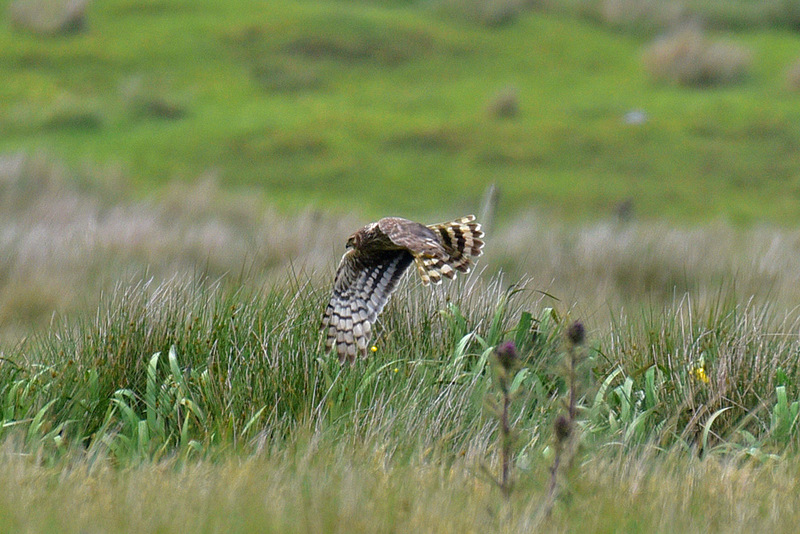 A female Hen Harrier on the hunt, spotted near the road between Ballinaby and Carnduncan. 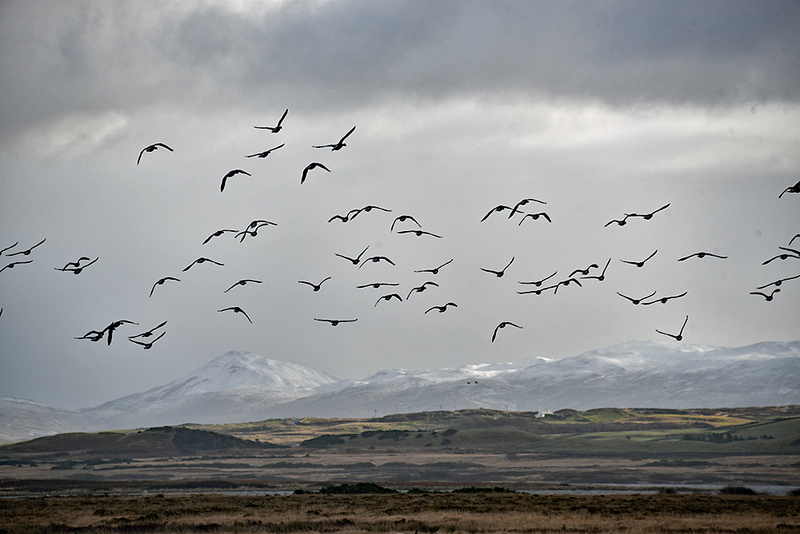 Islay is a great place to see these birds, with a bit of luck it is often possible to see several on one day.